For further information and ideas. There is no better way to sell to your market place than face to face. 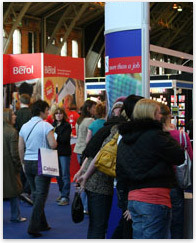 TES Exhibitions cover early years, primary, secondary and special needs with dedicated events in the South East and North West market places. TES Resources North, incorporating Special Needs North 2012. 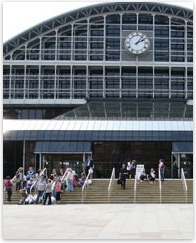 Taking place on April 20 & 21 2012 in Manchester, this is the ultimate show for anyone involved in education, early years, or special educational needs. With an anticipated 4,800 visitors across two days, TES Resources North offers exhibitors a great opportunity to market to both mainstream early years, primary, secondary and special schools at the largest resources exhibition in the North of England. Taking place at the start of the new school year, details will be available shortly. Please check our website regularly for updates. 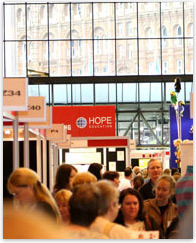 Taking place at the Business Design Centre, Islington, on 12 & 13 October 2012 this is Europe's largest dedicated special educational needs exhibition. The show offers an unrivalled route to market for suppliers of services, ICT and resources to the SEN marketplace.